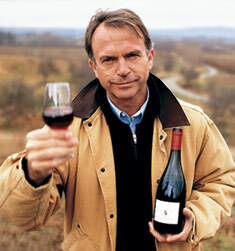 A note came through the email this morning from Sam Neill, proprietor of Two Paddocks, that prompted me to report on their 2008 Pinot Noir, which I have 5 cases in the cellar; well 4 cases now having liberated a case recently to check on how it is evolving – and was consumed within the week! The ‘Prop’ had suggested “To drink up the 08’s, there’s exciting things ahead”, which illustrates the enthusiasm for the 2009 and 2010 vintages in Central Otago. 2008 was a challenging vintage in most regions of New Zealand and yet I have found many of the pinot noirs much to my taste with a certain restrained, tangy and savoury, cooler thread to the wines; to a finer point somewhat subdued from the opulent, succulent style that the consumer has come to expect of New Zealand Pinot Noir. This attractively approachable style of pinot noir often misconstrues the potential of the wine to age and I sense there is a degree of lack of appreciation that certain New Zealand pinot noirs are at their best with 6 to 10 years plus bottle age. Point in case; the 2008 Two Paddocks Pinot Noir is still a good two years or so off approaching optimum drinking, still shy of the metamorphosis of secondary bottle-age complexities with primary fruit still to the fore and a degree of steely reserve to the wine. It is of course a matter of personal preference; some people simply do not like aged wines, with the smell of mushrooms and decaying forest floor, or nuances of the farmyard chook shed or hung game, but for me it’s like a Jack Russell instinctively rolling in fresh horse dung – relishing in its pong. Having tasted many 2010 Central Otago Pinot’s, it is does not surprise me that the judges of the IWSC were seduced by the Two Paddocks Pinot Noir as there seems to be a malodorous berry fruit intensity and clarity with the vintage and yet the wines are by no means as substantive as comparative years with a fineness and incredibly seductive silkiness augmented by a lively tanginess portraying a brightness of acidity and overall coiled tension in the wines. 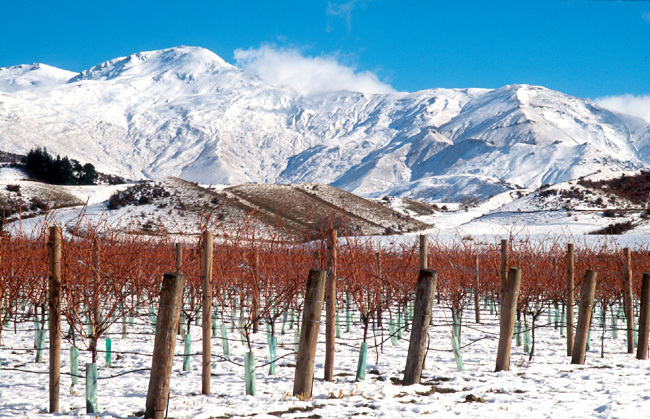 I would also suggest that 2010 marks the beginning of an era or coming of age in Central Otago and this decade will reveal the true potential of the region; an equilibrium of increasing vine age, maturity in the winemakers and better understanding of their vineyards and sub-regional complexities. You may find that the 2010 Two Paddocks Pinot Noir is not released in your market yet as the Prop tends to hold the wines back for longer than other New Zealand producers, with the knowledge they benefit greatly from time in the bottle, thus I suspect 2009 will have just been released. That said, the yield in 2009 was miniscule and I suspect 2010 will be released ahead of time. In the meantime, you should be stocking up by the case-load, the Two Paddocks Picnic Pinot Noir for day to day consumption as this is a more approachable wine and way over-delivers with an extraordinary price-quality-complexity rapport. Two Paddocks - in the ski season!